Capitalizing on our rich industrial experience, we hold specialization in providing a wide range of Textile Paper Cone that is used for textile yarn winding application. Which is made using the finest grade raw material, comes in different sizes and specification to fulfil the requirements of various clients. The offered range of paper cones is highly appreciated and demanded in the market for their special features like robust construction, fine finish, durability and optimum performance. We always try to deliver a quality approved paper cone and within a promised time period. We are one of the trusted names in the market to offer a wide array of Paper Cores. The offered range of paper tubes and cores is made from quality approved component and under the supervision of skilled professionals using advanced technology and tools. The offered paper tubes and cores are highly appreciated and demanded in the market due to its high quality and smooth texture. 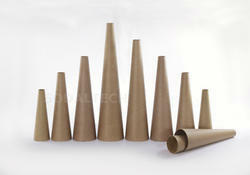 We are offering these paper tubes and cores at nominal market price. We are providing a large assortment of Composite Cans that is used for dry products and sometimes for pastes, such as creams, balms and oil-based. The offered range of composite can is made from the best quality component and using advanced technology. 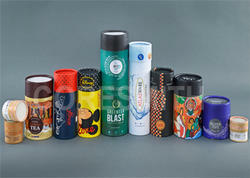 These composite cans are highly demanded in the market due to its high performance and accuracy. We always try to deliver the best quality composite can within the stipulated time frame. With the rich industry exposure, we engaged in offering a wide range of Paper Edge Protector to our clients. These edge protectors used for edge protection of paper reels, flexible film rolls, aluminium sheet coils, laminates and other reeled goods. Offered range of edge protectors are compact size. This edge protector is highly appreciated in the market due to its accuracy, lightweight and long-life. Apart from this, we are offering this edge protectors at leading market price. 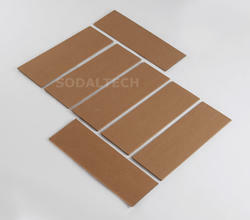 Our Flat Boards are made of 100% kraft board. It is a product with endless possibilities due to its strength and quality. They are lightweight, yet strong. Available in brown and white colour. Floor and side protection in shipping containers. The spacer between delicate surfaces. We are putting forth an astounding scope of Conical Bolt Boxes to our most solid customers. The offered scope of boxes is produced using ideal quality material and fabricated under the supervision of the master group of experts in following with the worldwide quality gauges. We are putting forth these boxes at ostensible business sector cost. 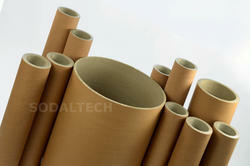 We are dealing with Paper Core Tube and our product is made up of good quality. Looking for Paper Products ?